We’re self-sufficient…instead of just saying we can’t do that. It’s a never-give-up kind of culture. Madison County, North Carolina, sits just 20 minutes away from the eclectic arts community and thriving tourist destination of Asheville, North Carolina. 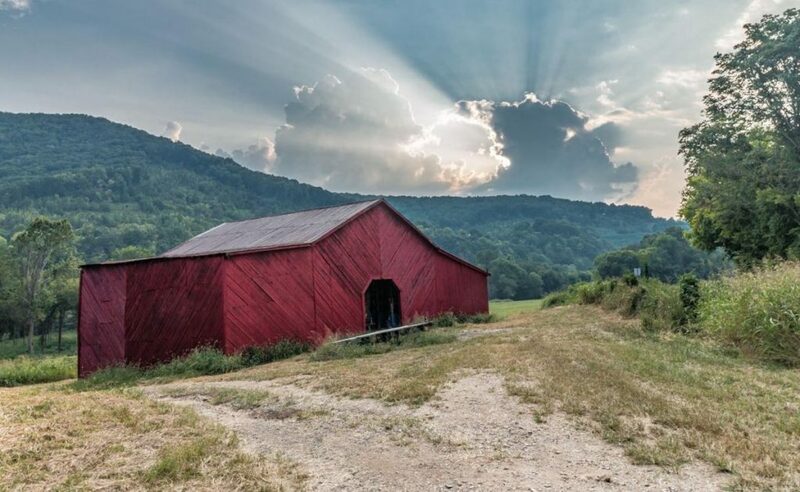 Like its well-known neighbor, Madison County is nestled in the Blue Ridge Mountains, offers stunning scenery, miles of hiking trails, and a rooted music community. It is a popular destination for those seeking a more environmentally conscious lifestyle, for hobby farmers, and for retirees attracted to the hometown feel and mountain culture. But even with all of the opportunity the land promises, longtime Madison County residents have struggled with limited resources and numerous challenges impacting their health and well-being. Like many other Bright Spot communities, Madison County is a rural community defined by rugged terrain, deep woods, and narrow country roads. Its population of approximately 21,000 is spread across vast distances, in small towns hemmed in by mountains. The unemployment rate hovers around 6 percent, but half the workforce is employed outside of the county, with many commuting to Asheville for jobs (as well as for community services). The poverty rate of 19.9 percent is higher than the national average of 15.6 percent. These better-than-expected results are likely influenced by local conditions and initiatives that improve overall health and well-being. The field work for this study showed that Madison County residents are committed to ensuring access to primary care services, including taking services to where residents live. Strong social networks connect communities in different parts of the county, reinforcing the importance of health. Madison County’s classification as a Bright Spot means that, on average, the county performed better than expected on a number of health outcome measures, given its characteristics and resources—that is, the socioeconomics, demographics, behaviors, health care facilities, and other factors that influence health outcomes. It does not mean that all Madison County residents enjoy excellent health. In fact, Madison County lags behind the rest of the nation on many health outcome measures. Like other counties with limited resources, Bright Spot counties face many challenges to attaining good health outcomes. But Madison County’s performance does indicate that certain county conditions or programs may be helping generate better-than-expected outcomes—and that other resource-challenged Appalachian counties may benefit from adopting similar initiatives. Madison County represents a metropolitan county in South Central Appalachia. It is one of three Bright Spot counties in Appalachian North Carolina. Madison County is located in South Central Appalachia, adjacent to the eastern border of Tennessee. Portions of the Pisgah National Forest cover much of the northwestern part of the county, accounting for 16 percent of the county’s land area. Its residents live in three towns—Hot Springs, Mars Hill, and Marshall—and in more sparsely populated rural townships. Across the county, the median household income is $38,445, compared with the national median of $56,135. Madison is racially homogeneous—roughly 96 percent of the population is white. Just over 50 percent of adults have at least some college education, compared with the national median of 63.3 percent. Classified by the Appalachian Regional Commission as at-risk in fiscal year 2017, unemployment in Madison County matched the national rate of 6.2 percent. The most commonly held jobs are in health care and social assistance, retail trade, and manufacturing. The major in-county employers are Madison County Schools, Mars Hill University, Madison County government, and Printpack, Inc., a packaging company. Like people in other Bright Spot counties described in this report, Madison County stakeholders have a long tradition of relying on each other and local resources to address challenges. They do this by partnering with other organizations, often across sectors, and sharing resources creatively. A strong focus on primary care: The county is actively committed to ensuring residents have access to primary care services. 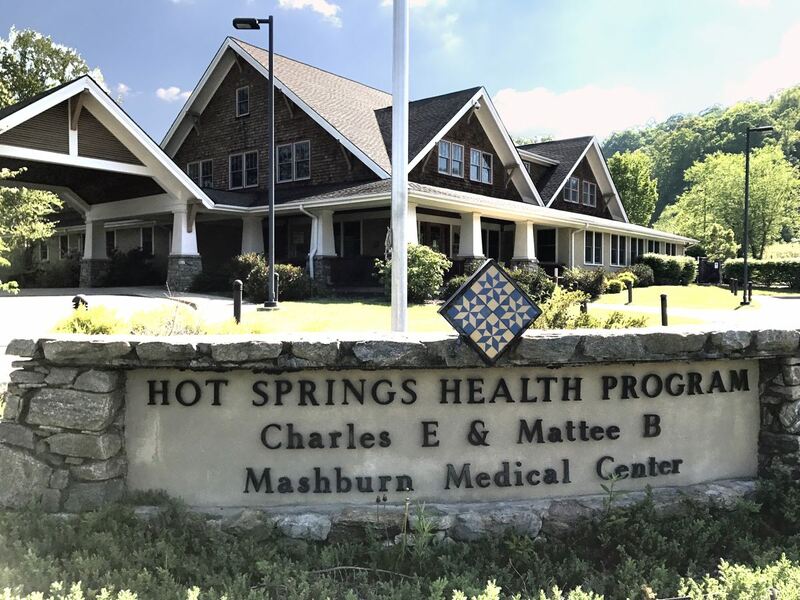 The Hot Springs Health Program (HSHP), which operates four clinics in the county, plays a significant role in keeping primary care front and center. Cross-sector collaboration: Regional partnerships and resource sharing occur across multiple sectors and with players both inside and outside of the county. Commitment to outreach: Many programs take their services to where rural residents live, especially in unincorporated areas of the county. Promoting health as a shared value: Madison County cultivates strong social networks to connect communities in different parts of the county and reinforce the importance of health. Many of Madison County’s initiatives fall into four overarching categories echoed in other Bright Spot counties: local providers committed to public health, cross-sector collaboration, resource sharing, and an active faith community. Leadership was also present, but less so in terms of specific leaders than in organizations taking the lead to improve health county-wide. What follows is a more in-depth description of the programs and activities that fall under these overarching categories. Providing primary care, social services, and structured ways for people to connect are all part of the county’s overall approach to health. The Hot Springs Health Program (HSHP) is at the center of much of this work, providing a full range of primary and preventive medical services as well as treatment for acute and chronic conditions. There are three significant reasons why HSHP plays such a major role: it offers a broad range of services, it is easily accessible from all parts of the county, and it is “homegrown.” People here view HSHP as an institution that not only serves but also belongs to Madison County and its residents. In 1971, community leaders came up with the vision for HSHP—a stable, accessible health care delivery system. Recruiting doctors to serve its poor, rural population had been a constant battle. With no hospital and only a few doctors, residents had to travel long distances over bad roads to get health care. The community’s access to medical care was tenuous—always on the brink of disruption if even a single doctor retired or moved on. Rather than rely on doctors to move in and establish a private practice, the community created its own nonprofit health care network, built its own clinics, and hired its own providers. Over the years, HSHP has expanded its operations to include four medical centers with 19 care providers and 140 employees, many of whom are long-term staff and integrated into the life of the community. In addition to a range of primary and acute care services, the centers offer home care, hospice care, and physical therapy. No resident has to travel more than 30 minutes to get care. HSHP’s range of services is unusual in a rural county of Madison’s size and economic status. When it is necessary to refer patients for specialized care, HSHP physicians coordinate with nearby Asheville hospitals. HSHP also extends operating hours into evenings and weekends. It essentially offers one-stop access to health care. Several stakeholders noted that HSHP’s integrated primary care model likely contributes to Madison County’s identification as a Bright Spot. Years of potential life lost—a measure of premature death—is 25 percent better than predicted, which is indicative of earlier detection, preventive medicine, chronic disease management, and follow-through on specialist treatment. Cancer mortality rates are also better than expected, signaling earlier detection and more diligent follow-up treatment. HSHP clinics provide access to health care close to home for traditionally underserved populations. Instead of presenting care as something out of reach or warranted only when things get dire, HSHP appears to be fostering in residents pride, trust, and a willingness to seek services regularly. Madison County works to increase health and wellness by creating an extensive array of collaborative efforts to help residents get what they need. This includes health services, funding and assistance programs, and social and human services. One of the oldest collaborations is the Madison Community Health Consortium (MCHC), which grew out of an effort funded by the W.K. Kellogg Foundation to unite citizens, health care providers, local agencies, volunteers, and local leaders to identify health problems and barriers to health care. More than 20 years after its formation, the MCHC remains an ongoing democratic forum where approximately 60 people come together to assess and determine how to meet community health priorities. The health department works closely with the consortium during the federally mandated community health needs assessment every three years. The MCHC has expanded its reach by growing subcommittees or project groups into spin-off organizations to tackle specific health problems. MCHC provides a model for other local organizations that likewise want to take a collaborative approach to problem solving. In 2014, the Madison Substance Awareness Coalition (MSAC) launched with grant funding from the Wake Forest University School of Medicine and the North Carolina Coalition Initiative. The project brought together people from law enforcement, schools, public health, local medical centers, social service organizations, pharmacies, and churches to identify ways to reduce substance abuse and misuse of prescription medications. The MSAC continues to coordinate efforts to combat the abuse of methamphetamines, alcohol, and opioid analgesics. Madison County’s School Health Advisory Council (SHAC) is one of many supported by the North Carolina Department of Public Instruction and the State Board of Education. Madison’s SHAC consists of health and education professionals who help guide health programming efforts in the schools. Many of these programming efforts are aimed explicitly at improving the health status of students and, by extension, their families. For example, the SHAC group launched a food truck program that provides free fruits and vegetables to county residents. Local government is a critical piece of the collaboration puzzle. At county department head meetings, health literature is regularly distributed to staff to carry back to their respective county workforces. At a department head meeting in April 2017, the floor was turned over to a local representative from the American Cancer Society to talk about cancer prevention and treatment resources. It fell outside the normal business of a county department head meeting, but it was indicative of a culture of health where any avenue to advance community well-being is used. Literature about wellness initiatives, upcoming screenings, and health resources is regularly distributed to Meals on Wheels clients and through eight senior meal sites. Local churches and nonprofits disseminate literature about their own social aid programs, offering services from supplying food care boxes to providing housing assistance. Another regional collaborative program, WNC Health Impact, brings together leaders from county health departments, hospitals, and other agencies in western North Carolina to share information and ideas, identify problems and priorities, formulate plans, and coordinate action. WNC Health Impact has helped Madison County public health leaders identify priority health targets (for 2015 to 2018): obesity prevention, mental health screening and treatment access, and substance abuse prevention. Access to care, food, and transportation are issues that Madison County organizations, agencies, churches, and volunteers work to ameliorate by pooling resources across the county and regionally. Madison County residents bring a “pull yourself up by your bootstraps” mentality toward meeting community needs, an ingrained sense of responsibility toward the less fortunate, and strong collaboration among agencies. For instance, Madison County has no hospital of its own but is within a 20-minute drive of Mission Hospital, western North Carolina’s major medical center located in adjacent Buncombe County. The level-two trauma center offers a wide range of standard and specialized services, including a weight management center and a diabetes and health education center. The Madison County Health Department works with Mission Hospital to provide diabetes education and conduct its community health needs assessment, and the department also contracts with the hospital for ambulance and emergency services. North Carolina’s Office of Rural Health (ORH) funds HSHP to subsidize care for indigent patients. ORH’s mission includes expanding health care access for at-risk rural populations. Many of Madison County’s residents do not have high-speed Internet, so they cannot pay bills online from home, research medical symptoms, look up doctors, learn about social assistance programs, or find a phone number for a specialist. To resolve this need, Madison County Schools and U.S. Cellular are looking at a project to retrofit school buses to operate as mobile Wi-Fi hotspots to give community members Internet access. Madison County’s Smart Start program works with community volunteers and social work students at Mars Hill University to make literacy education available at childcare centers throughout the county. The childcare centers also screen for learning disabilities and help parents and school personnel respond appropriately. Smart Start is described as going out to places in the county where its services are needed most. To help the many residents of unincorporated areas that are difficult to reach, Madison County has several efforts that take health-related resources to these rural locations. The Community Health Advisor Program (CHA), started in 2011, is one example. Operated by the American Cancer Society, this program trains volunteers to educate their neighbors about the importance of preventive screening, especially for colon, breast, and cervical cancers. The Madison County program is one of only a few pilot programs of this kind. Madison County was chosen as a pilot site precisely because of historically low levels of preventive screening, higher levels of poverty and cancer mortality, and few local clinical resources. Several communities in Madison County may well be considered a food desert, with many residents having to travel long distances to get to the nearest grocery store. Meals on Wheels serves a number of residents across this challenging landscape. In 2011, the Mars Hill Baptist Church launched the Lord’s Harvest, a nonprofit targeting the nearly 30 percent of children living in Madison County who are food insecure. With grants from other congregations in North Carolina and Florida, and donations from members of the church and the community, the nonprofit puts 100 percent of funding toward feeding the hungry in Madison County and neighboring counties. The Lord’s Harvest provides 1,790 families each month with a total of 4,100 pounds of potatoes, 1,000 pounds of cornmeal, and 1,000 pounds of pinto beans. Mars Hill Baptist Church Pastor Tommy Justus pieced together supplies from the regional food bank, human capital from the faith-based community, and a packing site in his church basement, but he lacked a way to get the food to the schools that serve as the three distribution sites across Madison County. So the sheriff volunteered his deputies to courier the food to the schools. The Food Connections program is an innovative collaboration between the Madison County Cooperative Extension, the Beacon of Hope Food Bank, and the University of North Carolina (UNC) at Asheville. The program takes leftover food prepared for the cafeteria lines at UNC Asheville, repackages it, refrigerates it, and distributes it—through the food bank or through the community center in Spring Creek—to low-income families in Madison County. Similarly, a food truck program operated jointly by the Madison County Health Department and the YMCA delivers free fruits and vegetables to low-income residents around the county. A food hub program operated by the county extension office helps small-scale local farmers bring their products to market, and also provides a place where low-income families can obtain high-quality organic produce at low prices. The same program delivers fruits and vegetables to senior centers around the county. Madison County’s Healthy Eating and Active Living (HEAL) team operates out of the county health department and works with other groups to promote positive health behaviors. The HEAL team has collaborated with social work students at Mars Hill University to conduct a study of Madison County residents to learn about barriers to physical activity and good nutrition. HEAL also helped initiate a project with the YMCA—the Healthy Living Mobile Market—to bring fruits and vegetables, along with nutrition education, to more remote parts of Madison County. Programs to impart healthier lifestyle choices among youth have shown promise in changing eating habits. At the Hot Springs Community Learning Center, children’s packed lunches may not include sugary drinks or desserts or other low-nutrition foods. The childcare center also partners with local farmers who provide free produce for daily snacks and as a supplement to lunches brought from home. Additionally, the center grows food in its own garden, provides free produce to parents gleaned from the regional food bank, and exposes children to produce through art projects and science experiments. Parents are reporting that their children are trying vegetables and limiting soft drinks. The isolation of Madison County’s distant communities separated by narrow, twisting roads is acute, making a lack of transportation a considerable barrier to resources enabling good health. Many elderly residents either can’t drive or don’t have a vehicle; others can’t afford the gas to get to medical appointments. The remote community of Spill Corn, located 45 minutes from the closest grocery store, is home to 23 individuals who either can’t drive or don’t have a car. Volunteers and others use a daisy-chain system to overcome this hurdle. Volunteer couriers carry food from a central location to a middleman site—often churches but also community centers, volunteer fire departments, and a subsidized housing development. Volunteers from individual communities then deliver the food to the doorsteps of those who are housebound or lack transportation. In addition, the county operates eight senior meal sites and sends county vans to pick up seniors who don’t have transportation. Stakeholders noted that if it weren’t for this transportation, many residents would not be able to get to the meal sites. They also noted that many residents come to the sites for interaction as well as the meal; in Madison County, food provides not only nourishment but also community connectedness. The faith-based community in the county plays an important role in promoting health and helping provide resources and opportunities for residents to pursue a healthy lifestyle. A network known as AMOM, Assisting Ministries of Madison, holds roundtable meetings every month to bring together representatives of faith-based groups, community outreach programs, and government social services agencies. They share information on their respective initiatives and assess pressing needs. Everything from food pantry assistance and Thanksgiving turkey drives to heating assistance and free firewood programs are coordinated through AMOM. Pastors actively share information on new programs and services that their congregations can support by volunteering time and resources. Troubled by the plight of impoverished elderly living in rundown homes, Mars Hill Baptist Church Pastor Tommy Justus called on volunteers in the faith community to install bathroom grab bars and building ramps, and fix roof leaks. That call has since turned into a full-fledged nonprofit, the Community Housing Coalition. Madison County is flush with these sorts of homegrown social assistance initiatives, and the faith community is actively serving a role in stewarding many of them. Madison County clearly places a high value on health, and the commitment to doing so is evident on the part of numerous players: health officials, volunteers, educators, local employers, and the faith-based community. Likewise, the emphasis on outreach and getting services to people where they are affirms that health matters to this community. Madison County has a lower obesity rate, lower prevalence of diabetes, and fewer heart disease hospitalizations than were predicted for the county, given its characteristics and resources. Those interviewed for this case study credit that success in part to minimal numbers of fast-food restaurants in the area and Appalachians’ long tradition of growing and raising their own food. Organizations and institutions across Madison County are growing a new culture around health and well-being—transforming diets and enabling access to fresh produce, and connecting people to health services with transportation supports and strong employer-provided health insurance. Lord’s Harvest for the Hungry. 2018. “February 2018 Newsletter.” Accessed May 15, 2018. Southeastern University Consortium on Hunger, Poverty, and Nutrition. Hunger Research, Understanding Food Insecurity in Your Community, Madison, North Carolina, 2013. See Table 26 in the data appendix at the end of this case study for a full list of actual health outcomes for Madison County compared with predicted outcomes. For details on the outcome measures, see the data files accompanying the report Identifying Bright Spots in Appalachian Health: Statistical Analysis. Table 24 in the Madison County data appendix at the end of this case study provides a quantitative profile of county characteristics. For a full explanation of the methodology, see Appendix B: Research Approach. For a list of key informants interviewed for this county, see Table 25 in the data appendix at the end of this case study.